It doesn’t matter how well you look after your carpets, over time they will in inevitably become soiled and stained and begin to look tired. Areas of high traffic are usually at risk, such as hallways, staircases and entrances to your home. They naturally attract dust, dirt and pollutants including germs, food particles, cigarette smoke and other microorganisms. Most carpet manufacturers recommend carpet cleaning once every 8-12 months and you can understand why when you sum up the investment you made when buying them. Not only does regular carpet cleaning keep your carpets looking good, smelling great and hygienically clean, it also increases their lifespan meaning you can avoid premature replacement if you look after them properly. AAAClean provide carpet cleaning services in Gillingham, ME7 and the local area. Our certified carpet cleaners can visit your home or workplace and revitalise your carpets with our state-of-the-art Prochem machinery and cleaning solutions which are all eco-friendly, non-toxic and child and pet safe. We understand that every job is different, because of this we offer an entirely flexible approach. 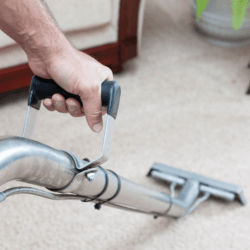 Although we have fixed prices for carpet cleaning on the website, the cleaning requirements in your household could be completely different than the standard carpet cleaning job. If you would like a custom quote please call us on 0800 023 5205 or you can book directly on the website using our quick and easy appointment system. Using AAAClean for carpet cleaning services in Gillingham means that you will receive an affordable service that is provided by polite and courteous, fully-insured carpet cleaning technicians using the highest quality equipment and cleaning solutions. Best of all, you are assured to have amazing cleaning results. By implementing the same state-of-the-art carpet cleaning method for every job we do, we provide the highest quality results every single time. 1. Pre-Spraying. For each job, we start the cleaning process by applying a pre-spray cleaner to your carpets. We also may use a traffic lane cleaner in areas with heavy traffic. This helps release dirt, oils, grease and other contaminants from the carpet fibres, which makes it much easier to extract the soiling in your carpets. Additionally, we agitate pre-sprayed areas in heavily-soiled carpets, which improves the pre-spray treatment’s ability to clean the affected area. 2. Spot Treatment. Almost all of our carpet cleaning jobs in Gillingham involve an unusual stain or spot that we need to remove. That’s why we include stain removal in the cost of every job we quote, and in almost every situation, our state-of-the-art machines can easily extract even the most stubborn stains from your carpet. In rare cases when our equipment can’t extract the stain, we also come equipped with a full stain-removal arsenal. From wine to blood, make-up to vomit, and even ink or tar, our array of protein, acidic and solvent-based spotting solutions can eliminate a wide variety of stains. 3. Odour Removal. Each of our carpet cleaning technicians carries a wide range of Prochem Deodorisers and Sanitisers, which are extremely effective at eliminating even the most overpowering odours. If your carpet smells from strong odours such as cigarette smoke or pet urine, we also recommend a deodoriser treatment following your Gillingham carpet cleaning service. 4. Insecticides. Insecticidal treatment is another add-on option for homeowners wanting to protect their beautifully-cleaned carpets from insect infestation. Carpet beetles, fleas, dust mites, moths and even bed bugs can often be found living in carpet and fabric fibres. Our insecticidal treatments are both safe and effective at killing and removing these pests from your carpets and upholstery. We price insecticidal treatments based on each situation, and therefore should be quoted before you book your carpet cleaning appointment. 5. Stain Protection. Applying a stain protection treatment is a great way to make your newly cleaned carpet or upholstery stay clean longer. Stain protection helps minimise damage from spills and other accidents before they happen, helping your carpets last long and clean up easier. We use Prochem’s Fluoroseal® Plus, which is a professional carpet protector. Fluoroseal® Plus incorporates a stain blocking additive and fluoropolymer – a fluorocarbon-based polymer that has a high resistance to solvents, acids and bases – to create an invisible layer on top of your carpet to prevent soiling and staining.